The Hotel Rovereto is right in the heart of this nice little town. Just outside the Hotel Rovereto, you will find yourself in the main avenue of Rovereto: Corso Rosmini. Walking for 150 meters you will reach the main square, Piazza Antonio Rosmini. From here, walking another 200 meters to the north you will find the world-famous Mart Museum, while turning south you will enter into the heart of the city: the beautiful historic center with a Venetian imprint. 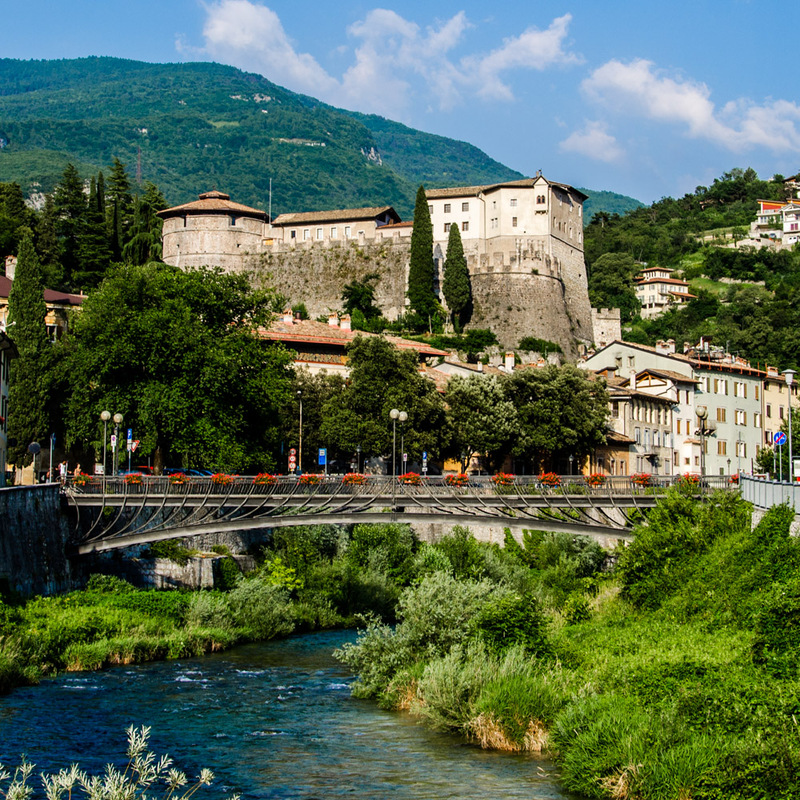 The train station of Rovereto is located just 150 meters from the hotel. The bike path of the Adige Valley is only 100 meters. Rovereto is very popular with cyclists. Here’s how to reach us from the cycle path of the Adige Valley. Autostrada Brennero A22 Rovereto Nord 3 km. Autostrada Brennero A22 Rovereto Sud 5 Km. Aeroporto Verona – Villafranca 70 km. 45 min.